A week after it announced that it had chosen the final standard for the new 4FF nano-SIM standard, the European Telecommunications Standards Institute (ETSI) has finally updated the documentation on its website, confirming Apple’s nano-SIM proposal has not been altered in any way. 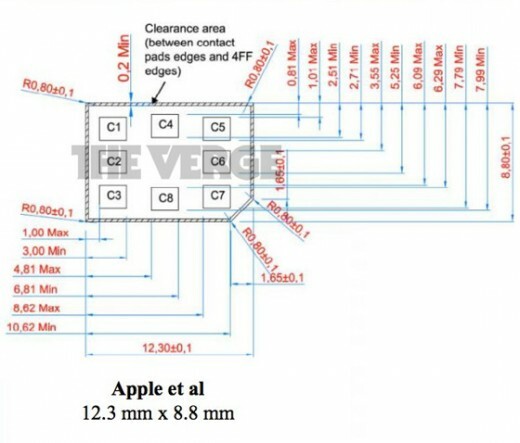 When the original specification was announced, the dimensions of the new SIM exactly mirrored Apple’s design. However, Motorola and RIM submitted an amended variant of the 4FF standard, which borrowed heavily from Apple’s original submission and used the same form factor, bar a small notch in the side used for locking it in place. 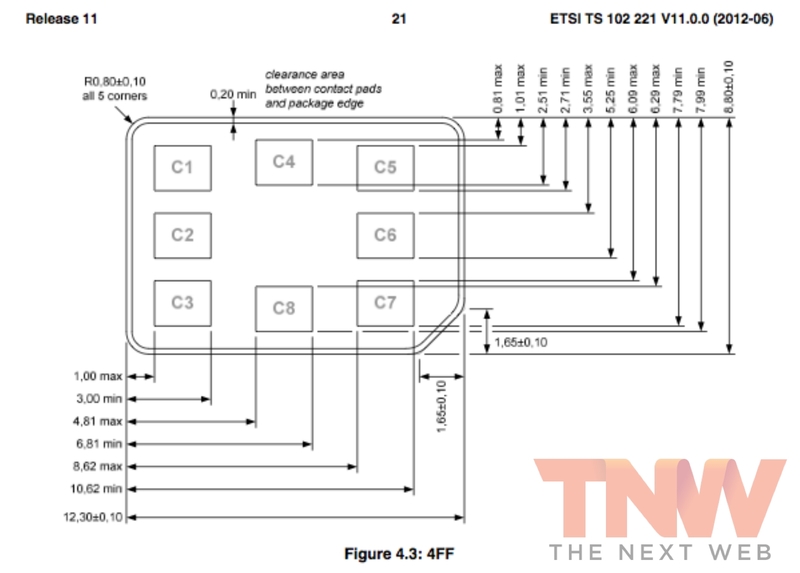 However, in the 181 page report published today, ETSI sets out the specification in its entirety — and it’s Apple’s design that won out. The 4FF shall have a width of 12,3 mm ± 0,1 mm and a height of 8,8 mm ± 0,1 mm, with a thickness range of 0,67 mm + 0,03 mm/-0,07 mm. Optionally, the 4FF may be supplied within a card whose width and length are compliant with the ID-1 UICC dimensions but thickness compliant with 4FF. In that case, the 4FF shall be located from 18,22 mm from the top edge of the card and 9,25 mm from the left edge of the card. So, in the end, Apple’s design won out over the Nokia/RIM/Motorola consortium in ETSI’s eyes. Whether that was due to Apple’s influence, it’s extensive lobbying or just the relatively conservative design that it proposed, the fight is over. 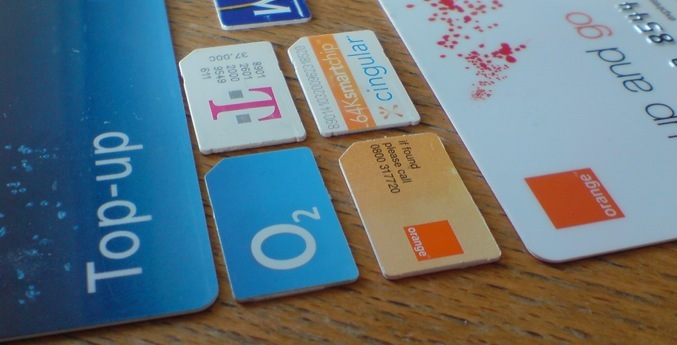 For now, the future of the SIM card will look exactly as Apple hoped it would.